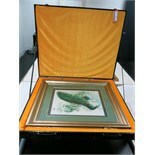 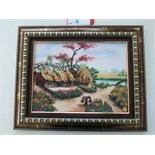 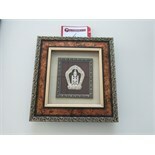 A Fine Silk Embroidery Depicting Peacocks in a Woodland Setting, Signed by the Chinese Artist. 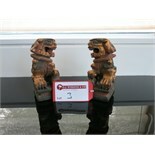 Pair of Wooden Chinese Ornamental Lions in Carved Wooden Box. 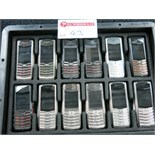 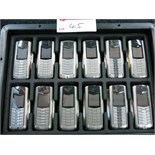 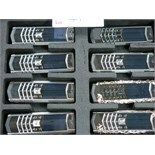 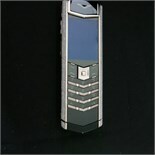 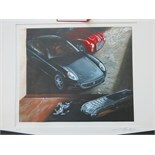 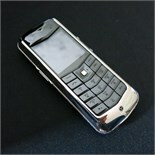 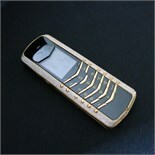 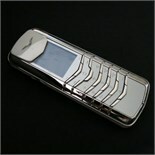 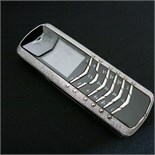 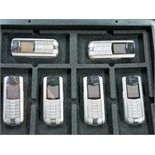 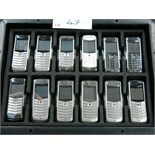 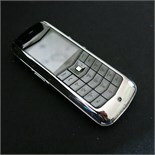 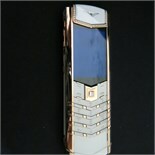 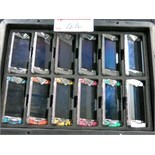 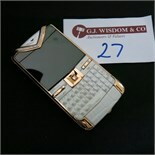 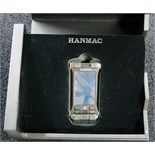 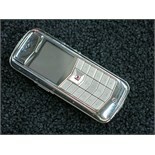 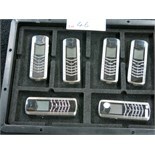 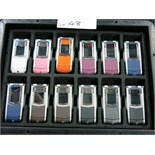 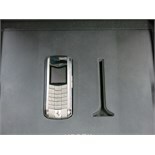 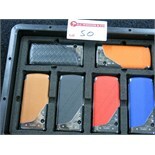 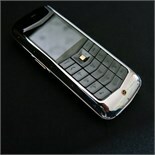 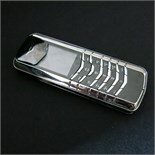 "Chinese Good Luck Gift"
Vertu 18kt White Gold Signature S Phone with White Gold Pave Diamond Side Cheeks & IHF Ports. 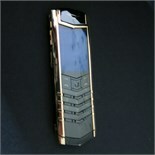 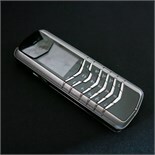 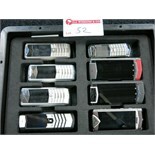 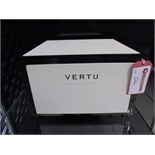 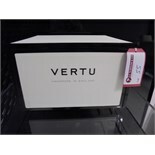 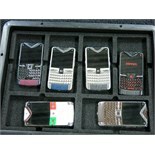 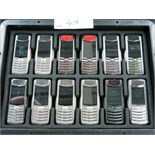 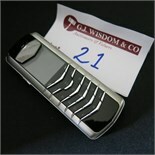 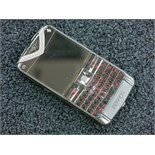 Vertu Signature Classic Phone in Platinum (950) with Platinum Functional Keys & Outer Cover. 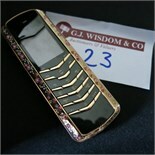 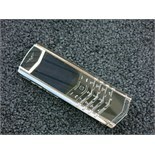 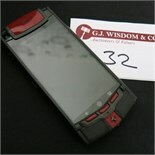 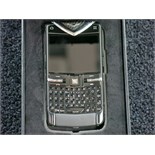 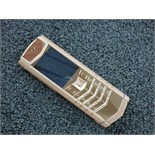 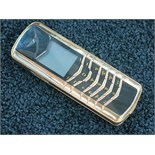 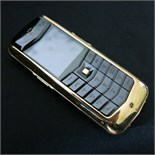 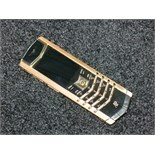 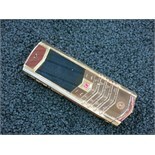 Vertu Constellation Quest Phone in 18kt Red Gold with Diamond Pillow Trim & Diamond Select Key. 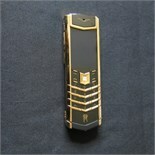 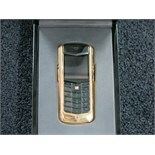 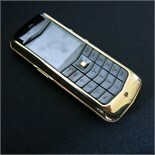 Vertu Constellation Classic with 18kt Yellow Gold Bezel, Back Plate, Select Key & Quarter Turn. 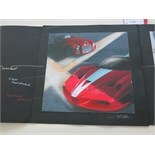 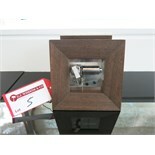 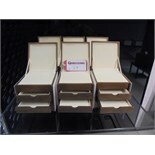 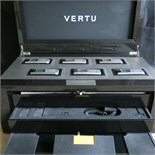 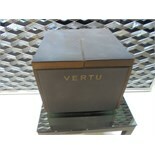 A Polished Black & White Leather Presentation Box with Lift up Lid & 3 Drawers, Lined with Suede. 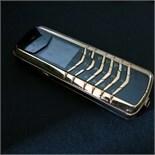 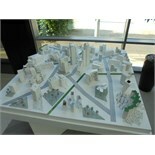 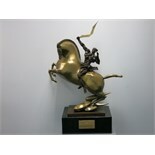 HOLD THE LINE - Original Richard Wilson Sculpture Commissioned by Vertu of a Futuristic City.